It's a fitting companion piece to Valiant Hearts, even if it carries over many of its predecessor's problems. 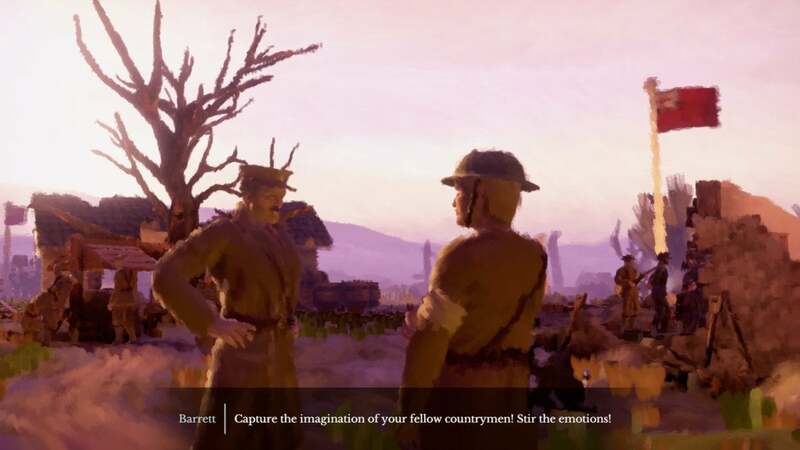 In 2014 Ubisoft commemorated the hundredth anniversary of World War I with a game called Valiant Hearts. Though hand-animated, it nevertheless told a grisly and often tragic story about the Great War, and it’s an experience that’s stuck with me for years now. Thus I was excited to hear the co-director of Valiant Hearts, Yoan Fanise, had founded a new studio to make a spiritual successor of sorts. As Valiant Hearts commemorated the start of the conflict, 11-11: Memories Retold marks the end, the hundredth anniversary of the Armistice. 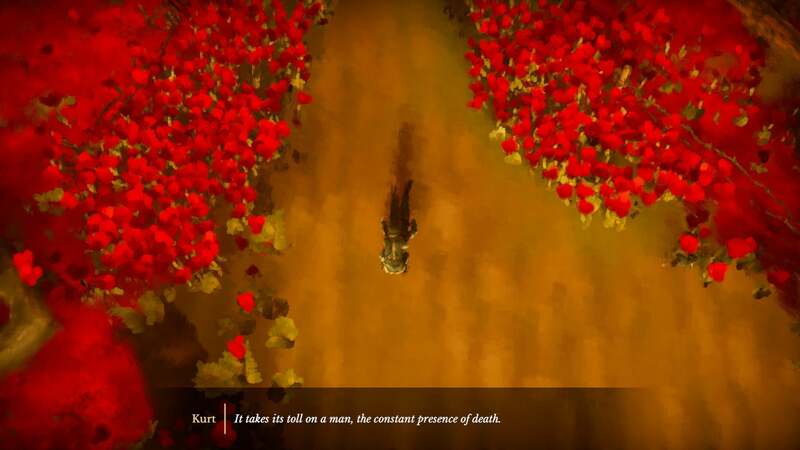 Like Valiant Hearts, 11-11 is a flawed experience—a sometimes-clumsy adventure game with light puzzle elements. I’m hard-pressed to call it “good” or “sophisticated.” But also like its predecessor, it’s well-written enough to mostly overcome its flaws, and I recommend playing it anyway. Valiant Hearts stood out because it was about people, not war. Video games have a habit of dehumanizing conflicts—not just the “enemy” in its many forms, but the ostensible heroes as well. The few that succeed in creating rich characters always stand out, be it Brothers in Arms or Battlefield 1. But Valiant Hearts took an even broader view, depicting soldiers on both sides of No Man’s Land as well as the impact the Great War had on those back home. 11-11 takes a similar tack. Neither of our main characters are traditional soldiers, even. They’re ordinary people with ordinary pursuits, swept up in a conflict they can’t really grasp the import of. On one side is Harry, a young Canadian photographer who enlists to take war photos, become famous, and win the affection of a woman back home. Our other protagonist, Kurt, is the polar opposite. He’s a German engineer and a father who enlists when his son’s unit goes missing, searching the trenches for information. The war is everything to Kurt and Harry. It dictates where and when they sleep, their daily responsibilities, and often puts them in harm’s way. Both are involved in the fighting at Vimy Ridge. Both see the gas attacks at Passchendaele. 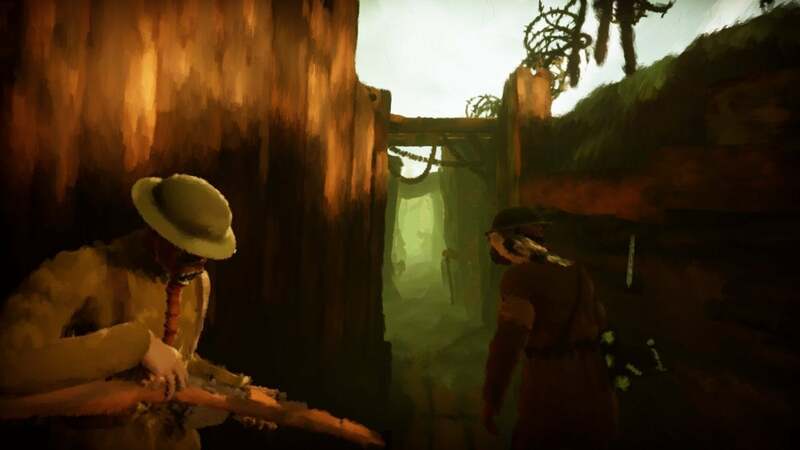 These are some of the best sequences in 11-11, the horrors of the Great War’s fiercest fighting stylized in the game’s painterly art style. The war is also nothing, though. Harry and Kurt are more concerned with personal pursuits. For Harry, it’s earning respect, both from people back home and from his bloodthirsty commanding officer Major Barrett. And for Kurt, his family takes precedence—his wife and daughter in rural Germany, and the pursuit of his son out in the field. But their reasons for being at the front extend beyond hyper-patriotic killing sprees. Harry enjoys the quiet moments, photographing new friends in the trenches. He plays music. He tames a pigeon. A significant portion of your time with Kurt is spent fixing equipment, wiring radios back together. You can, and probably should, go the entire game without once firing a weapon. That depends on your choices, of course. 11-11 features a lightly branching narrative, with a handful of obvious inflection points—shoot or not, save this person or not, et cetera. There are apparently six endings in total, though I got the “Peace” ending on my first run and that seemed like the appropriate, canonical ending. I don’t have much desire to watch the rest. There are also hints of subtler pivot points. Harry can send photographs home to Julia for instance, affecting the correspondence she sends back. Kurt can also write letters home to his daughter Lucy, and it’s implied this affects her character to some extent, though it’s hard to tell how in a single playthrough. It’s surprisingly ambitious though, especially from a small indie studio on its first major project—which makes the missteps all the more painful. First up, collectibles. 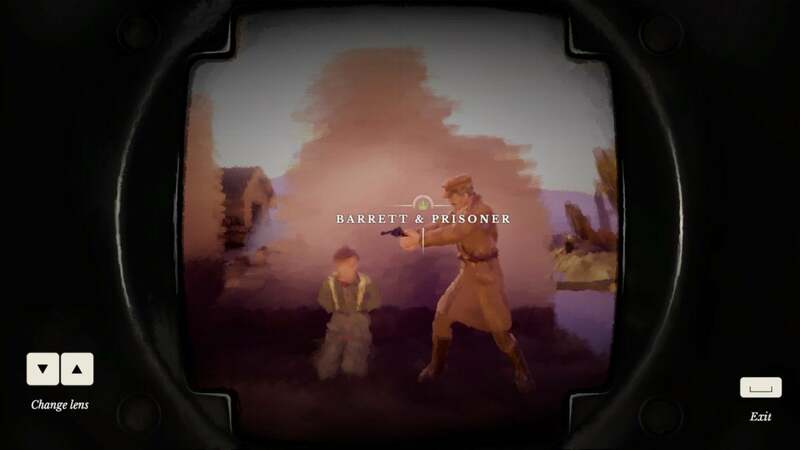 I actually loved the collectibles in Valiant Hearts, as they added a pseudo-documentary companion to the game’s more stylized portrayal of events. 11-11 tries to achieve the same, but there are far too many collectibles and the placement can be terrible at times. 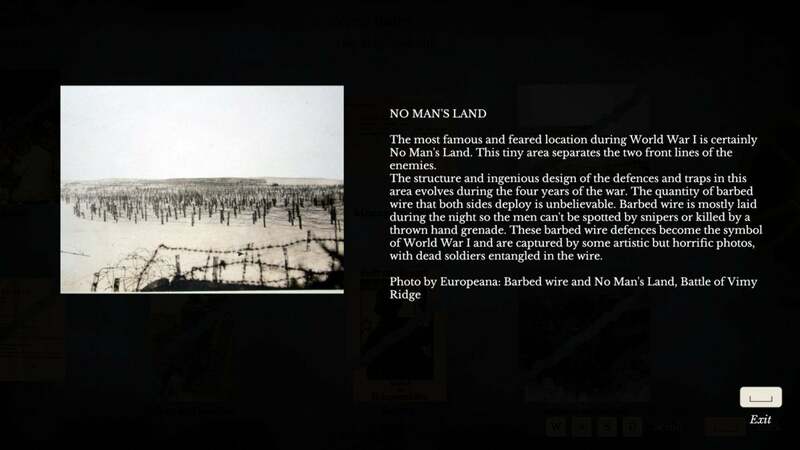 Tension dissipates completely when Harry’s sent stumbling through the battlefield at Vimy Ridge, avoiding barbed wire and machine gun fire, only to have the player double back because it looks like there might be a collectible hidden behind some burning debris. In the slower-paced levels it’s not as annoying or illusion-breaking, but even so I think the number could’ve been cut by half and it would be a stronger game and a stronger teaching tool. That’s an additional annoyance, I guess. 11-11’s collectibles contain valuable historical context about World War I, but it often feels like the game doesn’t want you to find them, they’re so hidden. Obscure collectibles are fine for a game like Uncharted where it’s achievement fluff, less so in 11-11 where they’re a significant part of the experience. And part of the reason they’re so hidden is the art style. I hate to knock 11-11’s brush stroke style actually, because in certain scenes it looks absolutely stunning. It’s also a fantastic way to portray the horrors of World War I without being, you know, too horrific. It’s hit-or-miss though. Detail work suffers a lot, with rough and messy edges all around. Objects also blur together in the distance, which makes navigating a headache. It’s a gorgeous style for large-scale vignette work, for perfectly-posed cinematics and such, but when you get up close and take control it’s not as enticing. A few more miscellaneous complaints: The game defaulted to, I think, an AZERTY keyboard layout when I first opened it up. It also kept resetting my vertical mouse sensitivity to zero every time I reopened the game. There are some bugs to work out, for sure. But none of that matters much, at least to me. 11-11 isn’t perfect, neither the story nor the mechanics. It’s a touching companion piece to Valiant Hearts though, a look not just at the horrors of war this time but at the promise of peace—and where that promise sometimes fell short for the people involved. 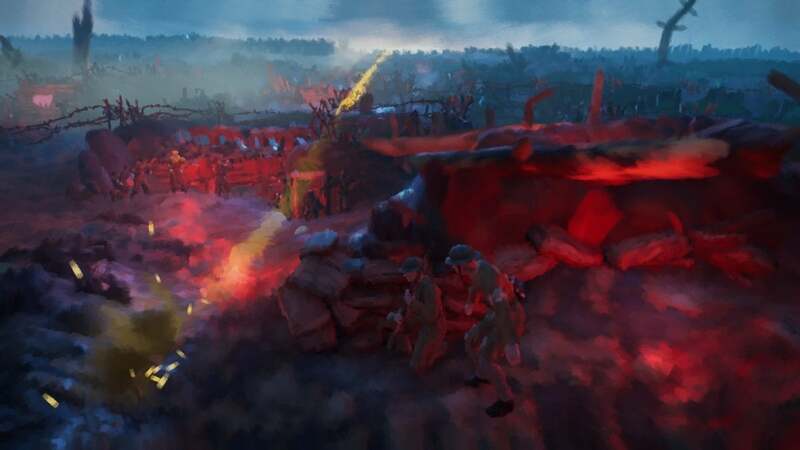 A spiritual successor to World War I tribute Valiant Hearts, 11-11: Memories Retold carries over both the strengths and weaknesses of its predecessor.